Maybe your new to head coverings and you are confused by all the styles available. You don’t know what a “tichel” is or you are wondering which style is appropriate for a Christian woman to wear. I am blessed to be a part of an amazing group of woman on Facebook that daily interact with each other. And let me say that they wear EVERYTHING under the sun — from a more traditional Mennonite style cap to simple headbands to a Muslim hijabs. 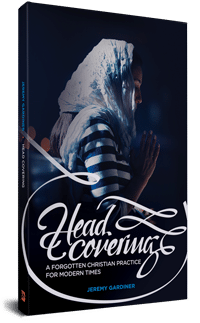 In the Bible, Paul doesn’t address the style of head covering, but rather that we should be covered. The interpretation of that verse when it comes to style is far and wide. The list below is by no means exhaustive. If you know of any other styles please comment below! 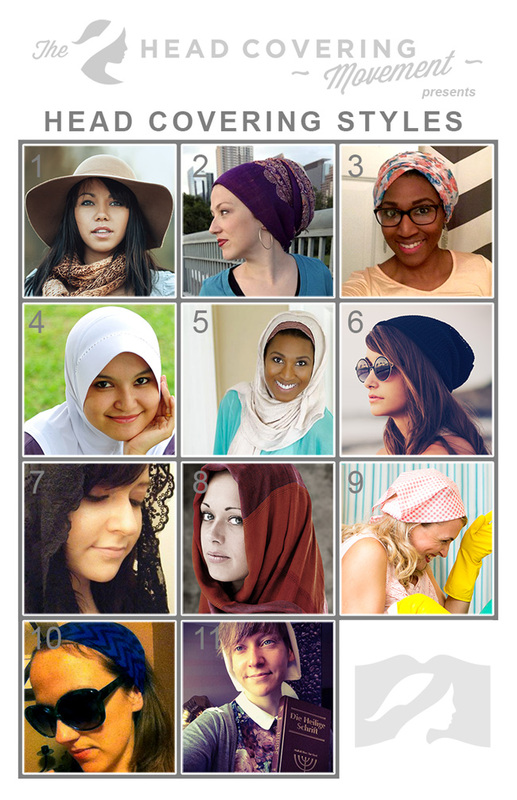 For more images of head coverings, visit The Head Covering Movement’s Pinterest page! Many of the definitions below are adapted from Wikipedia. A hat is any structured material that covers the head. The tichel, also called a mitpachat, is a headscarf worn that can range from a very simple plain color cotton square with a simple tie in the back to very elaborate fabrics with very complex ties using multiple fabrics. A hijab is a veil that covers the head and chest, most notably worn among Muslim women. There are many different styles, usually based on the region or location in which it is worn. The nun’s habit or an Islamic al-amira are both a two-piece veil. It consists of a close fitting cap and a loose outer cloth. A mantilla is a lace or silk veil or shawl worn over the head and shoulders, often over a high comb called a peineta. A piece of cloth that can be worn over the head, neck, shoulders in a variety of ways. It can be square or rectangular, long or short. An infinity scarf is a scarf that is attached at both ends creating a circle over the head and around the neck, sometimes can be long enough to be doubled. A bandanna/kerchief triangular piece of fabric that is place on the head and is tied at the base of the neck. Unlike regular headbands, wide headbands cover a significant portion of a woman’s head and hair. Traditionally worn by the Amish, Quaker, or Mennonite women. This white or black cap is worn on the back of the head. It is sometimes sheer with strings for tying. Elaine Mingus always knew that some day she’d be a real writer. After graduating from the University of Texas with a degree in journalism, she imagined herself walking up and down the streets of New York but instead found herself walking up and down the stairs of a house in the suburbs of Austin, Texas chasing six children. Today, she writes on the side, happily pimps a white picketed-fence and a minivan but still dreams of New York. She blogs regularly at Radical Christian Woman. I believe Christian women should exercise caution in type of covering. Our “culture” does identify the muslim style covering with the muslim faith, and as such I think it is doing a disservice to our Christian conviction to wear that particular style cover. If we are striving to bring back this symbol as an apostolic ordinance, wouldn’t it be fair to seek a universal style or two, which can be identified/associated easily with Christianity? It may take a generation to happen, but I think it’s worth the effort. I agree. Sadly, the covers I like best and feel fit the aspect of covering the best are unfortunately associated with Islam. I mean no disrespect, sister in Christ, but I’d rather wear a dunce cap as a covering than something that associated my allegiance with Islam. I have no malice in my heart toward any people, as I too am a sinner in this dying world, but I am jealous for my God and I trust He would rather see me go uncovered than mistaken for a follower of a false religion. Just food for thought 😉 it should be less what “feels good” on our heads and more about the symbol. There is hatred these days over every kind of religion…. If I was forced to wear a white bandanna everyday, the artist in me would cry daily. I wear a tichel, associated with orthodox Jews, because of the way all the colors reflect God’s creation. Call me weak, or less of a Christian, but to be forced to wear one uniform cover would kill something inside of me. I do not think that my statement about people who “call themselves Christians but don’t act accordingly” implied that someone is a weak Christian because she chooses to wear a tichel, please forgive me if you came away from my post feeling that way. I’m just trying to express the thought that it would be nice to have some more common ground when it comes to style, so that eventually (just like the Mennonites) it can be said about us, “Oh that woman is a Christian” instead of, “hmmm I wonder if she’s a Jew, or a Muslim, or a Buddhist”, etc. If we really are covering because we want to honor God in it, who cares if it “were” instituted that we cover everyday in a white bandana anyway? It won’t be of course, and since Paul wasn’t specific, we won’t know for sure this side of eternity what’s best suited for the practice…. still, it would be nice to have some sort of solidarity. I think I would care. I would probably buck the system! LOL. I think it would take something intrinsic away from the woman if she had no choice but to wear, let’s say, the white bandanna. And what about the husbands? Many husbands like a little color and variety on their wives. I think Plain Dressers are great. I know I couldn’t do that myself though. White holds all of the colors of the rainbow. No one wearing white could be accused of being plain or dowdy by those who know of this. My husband prefers the plain white kerchief. I must admit, I don’t. I hadn’t thought about that! I might have to get out my white lace tichel! You go, girl! While I don’t like the plain white kerchief, I do find myself attracted to white lace and chiffon-like cotton fabric. Linen, too! You can also just add a punch of white to your tichel at home or go wild and venture outdoors. Have you checked out wrapunzel.com? Funny you should mention them… I just got a package today! Oooh, what did you order?!?!? I LOVE their stuff. I just wish they had a linen scarf selection and used less polyester and rayon. The Shimmery, Signature Silk, Spring Snuggle, Peek ‘O Spring. I’m wearing the Peek ‘O spring today. It’s rainy and cool out, so it’s perfect. I thought about it and then chickened out! 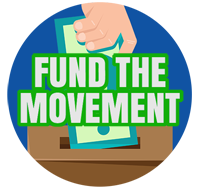 Have you done one yet? Not yet. My head coverings are not up to snuff yet. That might sound odd, but in order to wear my tichel-style covers, I need a signature shaper so they won’t fall off right away. The others that I have don’t cover my hair as much as I want. They are for hair that is partially covered, so the only other one I have that covers completely is the white kerchief one that I made that I don’t much like. Hmmm, though, maybe I’ll try it and have my husband take a photo and see how it looks. I’m also quite overweight right now and have a hard time liking my photos, but maybe I should just take the plunge? Right? I don’t wear makeup anymore, either. I haven’t for several years. My husband doesn’t like it anyway, so it was easy to give up. Still, I am a vain individual, and I like to look pretty! Same here. I get embarrassed when I see all the women in their eyeliner. LOL. I think I’ve gotten used to it. A lot of women in my church don’t wear makeup, so I don’t feel so alone. But in pictures, I definitely like looking pretty. What was it like when you gave up wearing makeup? How did you feel initially? This past January after my mother passed away suddenly I came to re-think my life and have been practicing a new modest Sunday. I had been wearing makeup regularly for many years but so far in 2016 not a drop on Sundays, not even nail polish. I have good days with this, and bad. I love the freedom of not having to put it on, buy it, worry about how it looks, but in certain social situations I do feel frumpy compared to other women. I’ve actually started making my own makeup with natural ingredients. I only wear it on special occasions though. Having something I can slap on for when I’m expected to doll up makes things easier. BTW my skin looks way better these days, and the puffiness around my eyes went away. Garlands of grace has beautiful stylish headbands and scarves that no cooperate office should even question. Really in the end, we all can find a way to cover that is allowed at our work places, and if we’ve had negative experiences it is difficult to pick up. The Christian women’s head covering group is a great support, but I think it is holding off on new members currently until things quiet a bit. Olivia, If you go to an average high school in America today, the vast majority choose to dress plainly in either all black or dark gray. Very few people love color anymore, which is a shame. As Americans we love choice… but we mostly follow rather that actually take our freedom. Hmmm, looking at sculptures from early church history and also looking at writings, the head cover seemed to be extra fabric attached to their robes that they could pull up over their heads while in church and outside the house. Do you have a link to these drawings or a resource. I’d love to see them. I’m so drawn to tichels and want to wear them but find the styles I like to perhaps be too flashy. I’d like to see what the women wore then. Oh, and you can wear more subtle colors for your tichels… I do different things depending on where I’m going to be that day. I actually save the most colorful ones for at home. LOL. I guess I figure I can have fun with it when I don’t have to worry about who might see it! Olivia, I respect you and your opinion. Love that you are an artist. Remember that McDonald’s and 7-Eleven force us to wear shirts and shoes inside or no service… yet this does not feel oppressive. While we’re at it, let’s not speak the other’s words or eat the other’s foods or listen to the other’s music. Scripture says that men and women from every tribe, tongue, and nation will call upon the name of the Lord and be saved. We will have lots of women coming out of Islam and into Christianity. Most, I suspect, will be glad at the prospect of not covering. But some would still want to and should be allowed to wear whatever they choose. In fact, for the Christian women living in the Middle East, these are the only Christian head covering they can wear in public. Sure, they’re just the same as their neighbors, but that’s because they don’t have the freedom of choice that American ladies do. So what will you do with your freedom? I know of a Christian woman who wore a hijab throughout Lent. She had an opportunity to be interviewed on t.v. about it. Sounds like a small price to pay for a big witnessing opportunity and all she had to do was to wear the wrong colors. Basically a headcovering is a type of a “banner,” wouldn’t you agree? representation of the Christian subjection of a woman to her husband. I agree with your post, Jamie in many ways, and I am sorry if my words offended anyone. I just really wanted to (ultimately) express my concern about the Muslim headdress.That religion is associated (in this culture) with beheading Christians and the oppression of women. There’s just not much danger of that in the states. We’re a country so built on freedom that I think for the most part people would either not notice or not care. I can tell you this, my ancestors were called a pretty derogatory name. They embraced it, turned it something into something positive, and gave it a new symbolism. Now few people remember that ‘sooner’ meant anything bad at all and is something a great many people are proud of, including me. From what I hear, many Muslim women consider the hijab proof of their respectability; it is only in the states do we see it as symbol of oppression. The only way to change people’s minds is to wear one and be completely free. What we have to go on is usually what the news shows us, not personal experience. It is our personal experience which will either confirm or deny what we hear from the news. Jamie, yes the symbol of oppression thing is there. The odd thing is, once you try headcovering, it’s not at all what you pictured it would be. It’s such a sad banner when something takes on a new meaning. God’s rainbow turned into a banner for homosexuals. A Christian symbol (the Nazi flag) turned into a sign of hate all around the world. Anyone can make anything look bad. Unfortunately, there is no uniquely Christian head covering symbol. I like the tichel because it seems more modern, but it is a Jewish symbol and I haven’t seen a Messianic Jew wear one. I visited a Messianic church. They covered during prayer like Catholics. I really like the opaque kind of coverings that flow down the back, covering the neck because that is the kind of coverings the early church fathers wrote about, which leads me to believe those were the coverings that were in practice, certainly. I am careful about the early church fathers. I don’t like some of their attitudes towards women. I’m actually quite a feminist, just like Jesus! However, what the writings of the VERY early church fathers show us was what was in practice. Historically, we do know that veils were opaque. As far as those that rely strongly on the writings of man that don’t believe in head coverings/modesty, I’d say that might just be unique to your situation. The Amish may follow the Bible but much of their practice is in accord with the Ordnung, man-made rules. In Uudaism, the head covering practice is from the law of Moses, though I do believe that it did come down from God, otherwise, why would Paul appeal to headship order and the angels? I don’t believe the Qu’ran is God-inspired at all, so there again…. Head Covering was already in practice by Jewish women and we see that traditionally, their covers are opaque. I talked to a very hateful Muslim once who didn’t know the Bible at all. Amy, What are your thoughts on Abraham’s son Ishmael? Just curious. Amy, do you wear your hair up, or down when you cover? Just curious. Deborah F, Yes, you are correct about banners, but they aren’t absolute. I wore a shirt with a rainbow on it as a little girl, that doesn’t mean I was a lesbian. If you see an old symbol in Indian culture that doesn’t mean they were Nazi, it was co-opted from them. Ozzy Osborne always wears a cross on his necklace too, but I wouldn’t call him a missionary for Christianity. The American flag is a banner, but can you say: “All Americans are…”? Of course not. We are very, very diverse. Everything in life is not so black & white. People are more complex than that. Ladies, better to cover even if it is a cover with style, a headband, hat or fascinator, then not to cover. I think we should allow God to convict persons about the style and be supportive of the goal. Were you supportive of your friend who has worn the hijab for Lent? Deborah F, Yes, there is a lot of hatred towards Islam due to terrorism. But we do need to take into account that their style of dress is just as broad as our Christian look. If you go from Catholic, to Mennonite, to Southern Baptist, to Mormon, that is a huge range. Many Muslims don’t even wear a headcovering at all. Isn’t it best to hate the sin but love the sinner? Amy, yes, I agree with you. I love all the styles. I think perhaps the Charity Veil or the Turban would be easiest to wear. As for the “style that would be identified with Christianity” as mentioned by Deborah, other than the hijab or ameera, I think they can all be identified as Christian, although those who have hate in their hearts will identify any headcovering with Islam because they don’t bother to see the person but only a covering on the head. It is a shame that a women can uncover her body and it is okay, but to cover her head is really getting to be a dangerous thing! It has stopped me from covering at the moment because I was subject to a good deal of hateful comments by redneck men who only saw a scarf, but not the person. I’m sorry that happened to you, but don’t let them stop you from covering if you are convicted that it’s right. I stopped for awhile, too, because I got some comments that ranged from teasing to hateful. But I realized that I needed to follow God, not the world, and certainly not Satan disguised as human. Maybe we need a head covering support forum? That sounds like a great idea! Yes, there is a “headcovering movement” underway, but we are still few and rare. Support from other sisters, no matter who they are, would be great! We are about to move in the next couple of months and I think it will give me a fresh start, and perhaps I will find the courage to put it back on…. I’ll be praying that way. You said you can’t cover now in your job because of security reasons? Can a tichel that is close to the hair really be such a security risk? I don’t see how it is any different than wearing your hair up in a bun, really. At least with style number #2 and #3. I’m going to see if a forum would be possible on this website, in the meantime! Debra, I offer you my support. So true, it really can be dangerous sometimes. I actually lost my last job because of my head covering, and my family and I were virtually homeless and penniless for six months until just this past week when I started my new job. Thank God for my mother in law; she’s paid for everything and given us a place to stay since March, otherwise I’d have been living in the car with my nine year old and hubby. I started covering it right when I first began to work there, and of course HR *has* to let you do it, though they were none too happy. I found out from my old manager quite a long while ago that they would talk badly about me at meetings in the corporate office, JUST because I covered (never mind that all my customers loved me, my sales were always top notch, and I had product knowledge virtually unsurpassed in the company in question). He warned me after he’d quit that they were going to fire me because of it. Eventually they did try to do that, but since they couldn’t do it because of the covering (since I could and would have sued them if I could prove it), they made a false accusation against me and forced me to quit rather than be treated the way I was being treated and having my good name smeared like they tried to do (and probably still are doing). Because of the whole experience, I don’t cover but rarely anymore, and I really, really miss covering full time. Unfortunately, I know that because of security reasons, my new job won’t allow it. I’m not even going to bother asking them. The style I did typically was the “tichel” kind. I really like the hijab type style, but I don’t want to be confused with Muslims, of which we have a lot around my area. Wow I am sorry this happened to you. One can always wear wide headbands with a pin in them and you should get no comments. One can choose to adopt a different hair covering, such as a fascinator or a wide headband that cooperate offices would accept. They might think it different, but it is not as different as a tichel is and should be accepted without any problems. Debra, one way to go around this is not to cover all the hair, but to cover the top of the hair and to allow the hair to flow down the back. Though it might still be unusual, it doesn’t draw comments or hate type messages. I personally receive so many blessings from head covering, I wouldn’t want to go without it, but I do choose styles where they are not distinctly religious in appearance. Warning: purely my OPINION below. When you read 1 Cor 11:6 where it said “let her also be shorn”, how many people read it like just a little piece of the hair would be shaved? Just a little patch, shaved out like the hairdresser accidentally lost control of the trimmer and shaved a patch out? I’m going to wager that very few thought that. Rather, when you read that, you think of what it means to be shaved (at least in context back then) – probably a whore, –whole– head shaved. In v15 it says that woman’s long hair is a glory to her and in v7 women is the glory of man. So thinking back to math class if A=B and B=C then A=C, the covering is meant to cover the “glory of man” (A) = “long hair” (C). That’s a stretch when you think of it just on it’s face value, but the context here is hair. Since we’re talking hair here, I’m thinking that just like with the whore whose whole head was shaved, a woman covering her head would have her whole head covered, — her glory, i.e. her hair. Therefore, in my OPINION, I would think that the intent of Paul was to have a women cover the –whole– of the hair, just like what #2, #3, #4, #5 and #8 does. This is just a pet peeve of mine, but can we not use the word “whore”? It really does have very negative connotations and most women were not in that position by choice. Yes the orthodox Jewish women do cover all their hair, but I think this practice is more out of manmade tradition then out of a scriptural command. There is the manmade Jewish traditions but together in a book called the Halakha and in some circles is regarded with more respect and authority then scripture. Jesus was very condemning of the Pharisees and the man made laws that superseded and put undue burdens on the people. 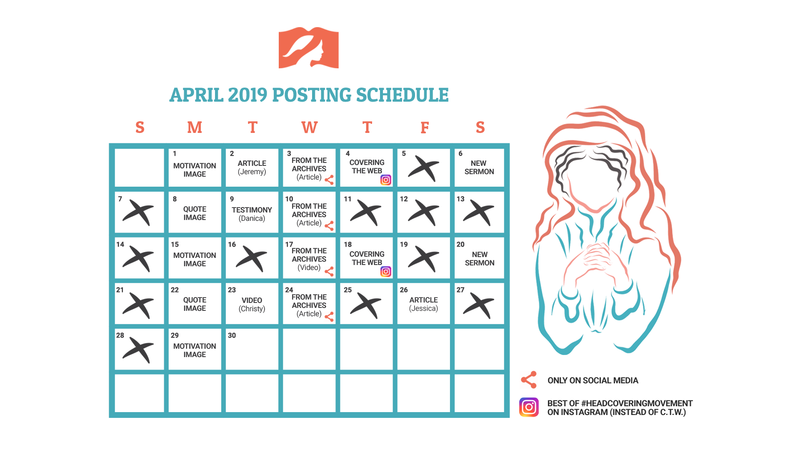 I think the idea of covering and having your hair only for your husband is a concept that does have meaning for many, but again, that is not what I see scriptural command about. I believe that the women’s hair would have shown in the front in biblical times, though the veil would have come over most of it. I would urge us not to get legalistic in the practice of head covering or condoning one style over another. Let each walk out the covering as they are called. Historically, women had a veil attached to their robe that they pulled up over their hair. Sculptures and drawings demonstrate that part of the hair would show. Number 11 is also worn by some Brethren people. My mom grew up Brethren. Great story. Enjoyed the comparisons. My question is, how many of these 11 different styles have you sisters actually tried wearing? So for myself…I have tried numbers 1 (various types of hats), 3 a half turban…I go with not covering the back often, but winding the material around into a rose with the ends of the scarves and it rests on the side of the head, 7, a veil, 8 an infinity scarf, which again can be a partial cover wining around into a rose on the side of the head with the back of your hair still showing. #9 a bandanna or handkerchief #10 one of my favorites is a wide headband that can be scrunched up or extended over more of the hair with a pin to the side of it. I found some cotton ones on ebay that have been wonderful and about $1.20 or less each. Also crocheted ones are available that are thicker for winter. My grandmother and my grandma both wore the #11 a white cap. Brenda, Sounds like you have tried a few. Which was your favorite and least favorite to wear and why? My first ever headcovering was just fancy hats when I was a little girl and modesty was nothing of a reason behind. They were just cute, lol. In college I bought some crocheted snoods, but again more fashion than modesty. This past February I tried a hijab for the first time. This was the first time I really was conscious of the concept of headcovering for modesty. This past Easter I tried a chapel veil (mantilla), and this past summer I tried a Kapp for the first time. I like all of the headcoverings I have tried, the only negative is that sometimes you do get funny looks with some of them. The only headcovering I have not tried that I would be curious to try still is a nun habit… I won’t tho because I worry it would be disrespectful. 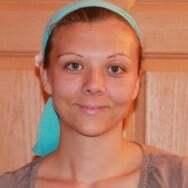 Chantelle, I think my two favorite head covering styles currently are scarves done in a wrap or as a wide headband( I have made mandy of these out of wide lace that is 6 inches, and I use cotton ones as well, with some hair exposed, and I also use wide headbands regularly. These match outfits etc. I think if you would look in the New Testament, the women’s head covering would have matched the gown they were wearing and most women in those days would have head covered. It is possible they wore a simple white wrap for everyday and only had matching gown and head cover for special occasions. I have considered a more traditional style of mantillas or chapel veils, which I used along with a white Mennonite style cap for public worship after baptism, until about age 25 when I was told the interpretation of the passage was that the hair is the head covering. However my husband doesn’t really like the idea of me doing the mantillas or chapel veils, and I want to be aware of how it impacts him. I liked using the fascinators, but again, my husband didn’t like this look. I personally do not read the passage in Corinthians on head covering to be about modesty, but rather obedience to cover, so I haven’t tried the hijab or the more full Mennonite caps or looked at covering for modesty. No harm in covering for modesty if a person is called to cover that way, but I don’t see scripture stating that that is why one needs to cover. So by using scarves and wide headbands, and hats, I don’t really get stares like I would if I wore a long veil or hijab or Mennonite style full capp. For me, I could see the advantage of using a veil style as, the veil would go with any outfit and it would definitely set you apart as head covering for religious purposes. I have used the hijab under scarf previously, as they are cheap and come in many colors. I think the pressure of a person head covering can be significant, as you are standing out as different, no matter how you cover at this point. Therefore I wanted to cover in a way that I would be consistent. The longer I cover, I would be less concerned to step out to a more religious style. I feel good about my head covering styles, but would be ok with moving to a fuller type scarf covering. Brenda, great response. I enjoyed reading. You have made some good points. I’m curious how ‘modest’ of a wardrobe you wear with your headcovering? How long is your hair, is there a lot to cover? Do you cover daily or just for church and prayer? More and more modest. maxi or skirts to shin, tunics or long sweaters over pants ( which I am wearing less and less of), longer sleeves. Now this time of year I stick with 3/4 length and full length sleeve tops. I cover full time and wouldn’t go back, as I have reaped so many blessings. I feel more spiritually protected. I am less harassed in thoughts, feelings or emotions, I am treated differently, and people seem to sense and authority that hadn’t previously been there. My hair is past my shoulders several inches. Due to health issues, my hair has thinned significantly in the last year, so not lots of hair, as it is pretty thin. I just recently started wearing chapel veils to Mass but I want to start wearing them in everyday life as I transition to a more modest everyday style but I’m so scared of what others, including my family, would think seeing me wearing a white lace headcovering everday. Also, I love people of all religions but I dont want to be mistaken as a Muslim woman expecially considering how violently people act towards them. Does anyone have any advice for me? I’m willing to listen to any suggestions. God Bless. Hi, started headcovering in the last 2 months. I have only received blessing upon blessing for it. No garentee that persons won’t comment or make jabs at your appearance or comment on how they think you are legalistic. Personally obedience is never legalism. I personally use a wide array of headcoverings. I use wide headbands, sometimes with pins adorning them, a scarf, a bandana, a fascinator. There are lots of wide headbands available on ebay and at walmart that look pretty nice, and also garlands of grace has lots of good options or other stores listed here for where to buy. Some wear the veil exclusively. My husband didn’t want me to do this so I go with wide headbands, scarves, and I love the under hijab long scarves that are only about $2.00 and come in a wide array of colors. They are wonderful. Ebay has those too.